Colocation is a hosting solution for businesses that want the benefits of a secure, disaster recovery facility without the added expense. It allows servers to be placed into rented server racks, with access to high bandwidth speeds, network connections, regulated power, security and support. The amount of money it would take to replicate the networking equipment and disaster recovery strengths would be cost prohibitive to most businesses, which could spend a small fortune creating, maintaining and continually updating such an infrastructure. Housing servers that maintain critical business data on them, within personal offices, comes with the added risk of potential data loss or downtime due to fire, outages or security threats. Higher bandwidth speeds, lower network latency and a redundant n+1 infrastructure for network connections, at a lower cost. Keep your business continually running during and after a disaster while avoiding downtime with UPS battery backup systems and diesel generators that power on when outages occur. If the location of a business is changed, your server stays running the entire time of the move. Advanced waterless, dustless fire suppression system. servers generate a great deal of heat while running for extended periods of time, air conditioning controls the temperature and humidity in the space to meet the approved manufacturer’s specified temp and humidity range, avoiding equipment malfunction. You own the server and software on the server. That allows you to choose the setup and upgrade, configure and maintain as needed. Lockable racks and cages available for extra security. Escorted customer access available, otherwise technician access only. Wisconsin based, well away from most natural disaster zones. 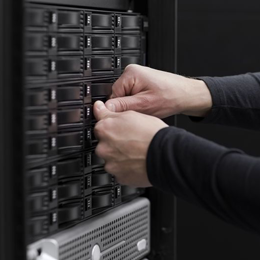 Colocation provides security, space, bandwidth, cooling and power for your business servers.